The Accounting Standards for Islamic Banks are prepared by the ‘Accounting and Auditing Organization for Islamic Financial Institutions. (AAOIFI), which was established in accordance with the agreements signed by Islamic Financial Institutions on 26 February 1990 in Algiers during the meeting of Islamic Banks and Financial Institutions. AAOIFI was registered on 27 March 1991 in the state of Bahrain as an international autonomous non-profit making corporate body. 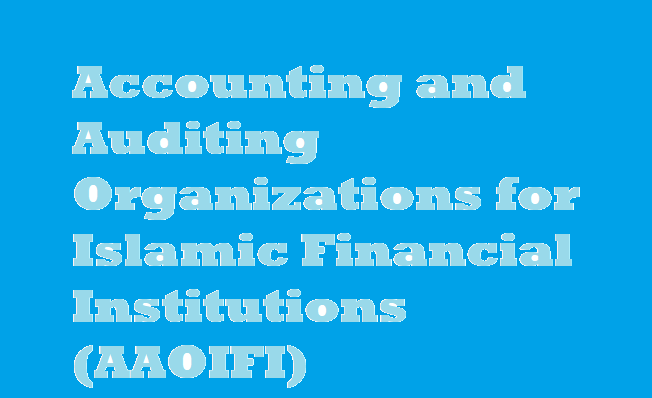 Disseminate the accounting and auditing thought relating to the activities of Islamic Financial Institutions and its applications through training, seminars, publication of periodical newsletters, preparation of research and other means. 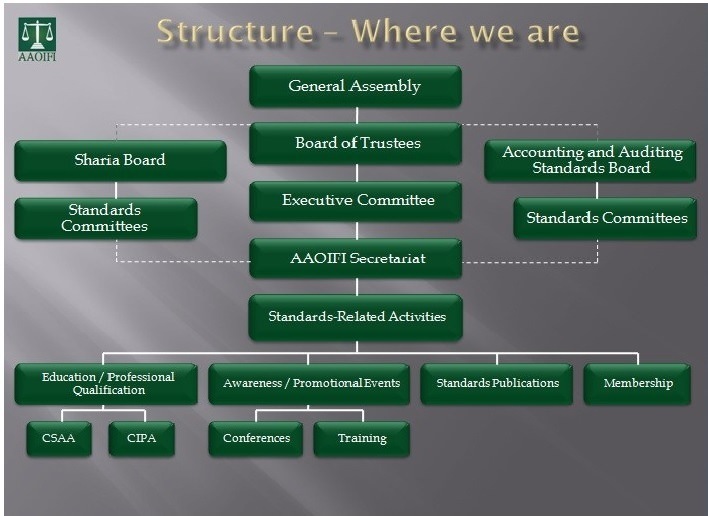 Prepare, promulgate and interpret accounting and auditing standards for Islamic Financial Institutions in order to harmonize the accounting practices adopted by these institutions in the preparation of their financial statements, as well as to harmonize the auditing procedures adopted in auditing the financial statements prepared by Islamic Financial Institutions. Review and amend the accounting the auditing standards for Islamic Financial Institutions to cope with developments in the accounting and the auditing thought and practices. Approach the concerned regulatory bodies, Islamic Financial Institutions, other financial institutions that otter Islamic Financial Services, and accounting and auditing firms in order to implement the accounting and auditing standards, as well as the statements and guidelines on the banking, investment and insurance practices of Islamic Financial Institutions that are published by AAOIFI. a General Secretariat to be headed by a Secretary- General.